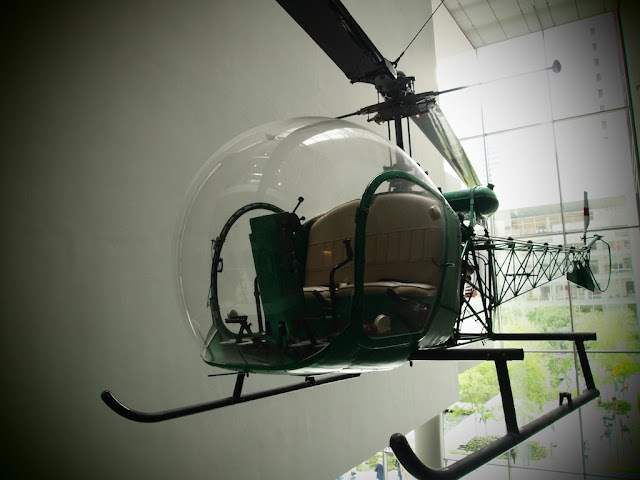 Fuselage view of the Bell-47D1 Helicopter on permanent display at the Museum of Modern Art. Designed by Arthur M. Young, it is the first helicopter to be certified for civilian use. The helicopter has a distinct acrylic bubble canopy and an exposed tail boom.